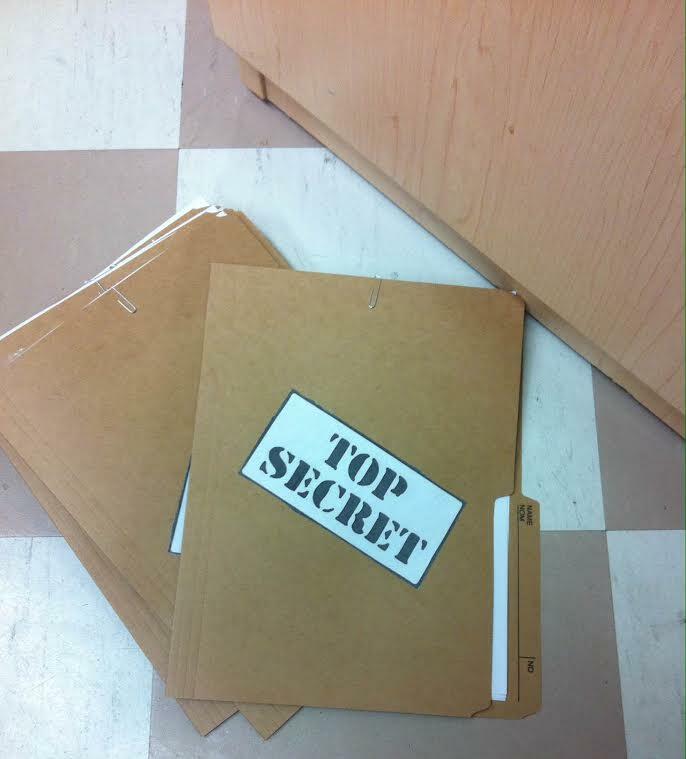 A mysterious detective dropped off some secret case files and it’s up to us to uncover the mystery! Learn how to be a secret agent by using some sneaky spy tactics. Spy camp is now my favourite program to run. It was a sold out crowd on a Saturday for kids – I mean Agents- aged 8-12. I wouldn’t recommend this program to be done with anyone younger. They need to be able to problem solve at a high level. When the Agents arrived for training, I took their names as a form of security clearance. I assigned them an agent number and they were given their badge. 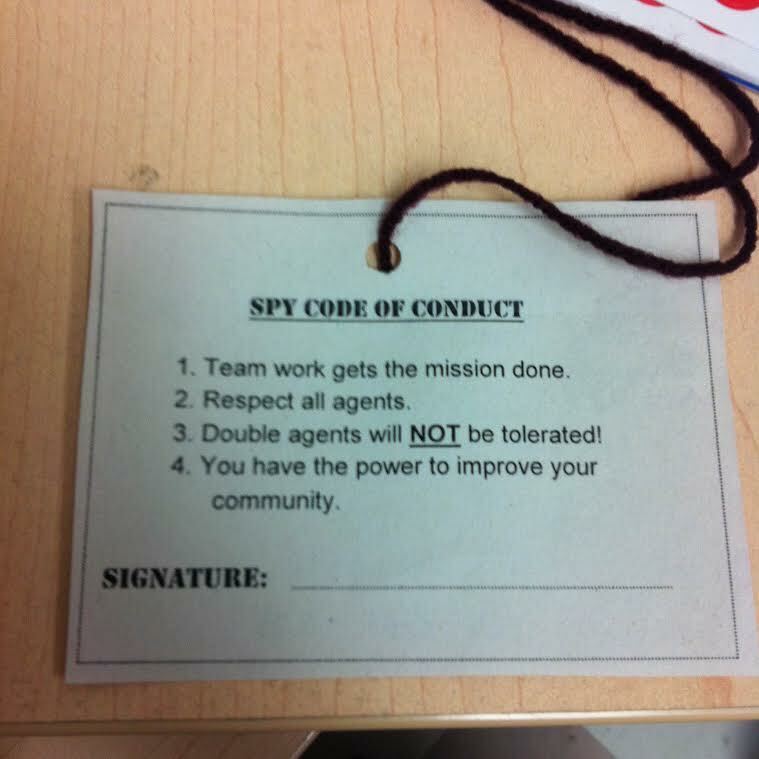 The badge had the Spy Code of Conduct on the back. I used the code of conduct from S.P.Y. Camp Sustainable Planning for Youth. Once we recited the Spy Code of Conduct, we then moved on to cracking codes. I found a template for a cipher, or a decoder, and my lovely page assembled them for me. 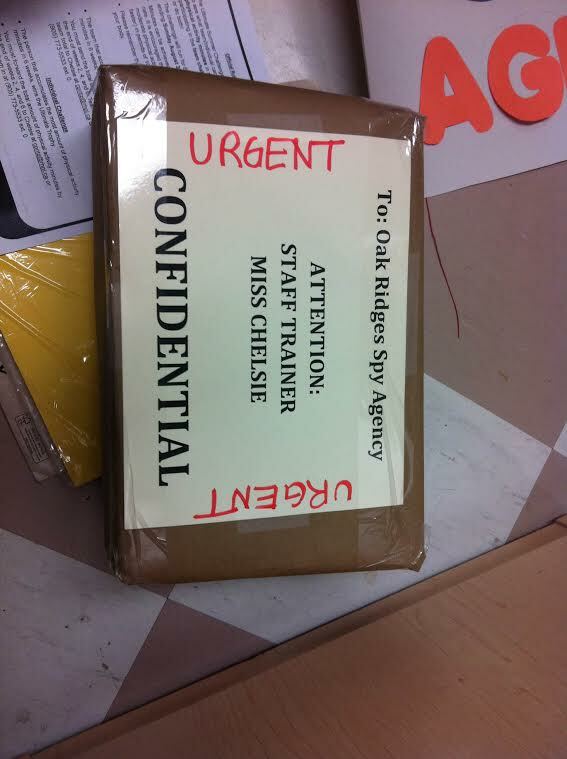 I had my circulation staff bring in a package with the case files inside. The agents had to solve the mystery! Inside the package was a note from Detective Dalton. There was a bank robbery at Bruce Spruce Falls Bank and Detective Dalton needed the Agents to help him solve the mystery. I separated the Agents into four groups. They were each given Dalton’s letter, a bag of mixed up clues, Case Report Analysis, and Suspect list. 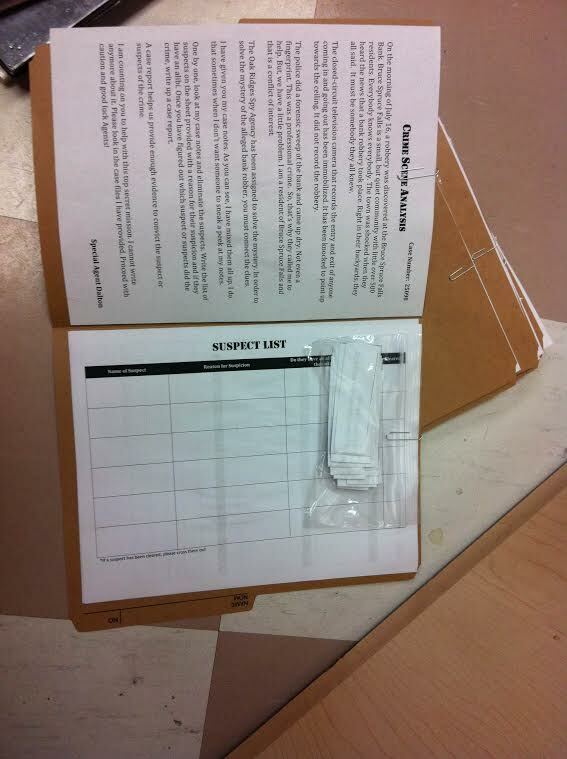 Through a process of elimination, the Agents had to sift through the clues, write down the suspects, if they had an alibi, and if they were cleared. I found the clues on Teachers Pay Teachers, but I did modify it quite a bit the case files to suit a Canadian audience. The file is $6.99, but includes 5 cases. Lots of preparation went into this program, bit it was well worth it! The kids were so rowdy and into it. I will definitely repeat this program again!